Our personal touch is guaranteed from your first point of contact. We are a family business and to us every event is vital whether it is a spit roast menu, wedding catering, a birthday party, unveiling, roof shout, medieval party, corporate catering, prize giving, farewells, suppliers evenings, any event, we value each function personally. We do not need a kitchen as everything is prepared in our A grade kitchen. We bring the restaurant to you. Our customers love how easy we are to work with. Nothing is a problem and you with love our Southern Spit Roast and BBQ Catering experience. Feel free to visit our Facebook Page for our reviews or you can view them on our Testimonials page. Onsite, offsite, delivered catering or our cheaper express menu options for the Auckland, Northland, Bay Of Plenty, Waikato and everywhere in between. 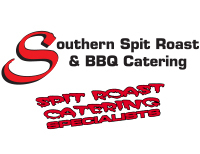 Whatever catering you are looking for at Southern Spit Roast and BBQ Catering our professional catering services will make your function, party or wedding a long lasting pleasant memory for you and your guests! Southern Spit Roast and BBQ Catering offers you a number of catering options, and tailor-made menus to suit all sorts of requirements. You can choose from the traditional spit roast menu, BBQ's, finger-food buffets, affordable menus and delicious desserts. We also provide a delivery service and offer discounted menus for those on a lesser budget such as the express option. Our spit roast meats are prepared in our state of the art roasters that allow for the natural juices to marinate the meat. The high cooking temperatures lock in the meats flavour, ensuring a savory and satisfying, succulent result every time. The Southern Spit Roast and BBQ Catering spit roast specialists will prepare and serve your food with great care and attention. You will be amazed by what we can do. "Our team are professional spit roast specialists and it is our guarantee that you will be impressed with our very high standard of quality, quantity and helpfulness." We will make your event easy and stress free. Please feel free to contact so we can help make your event amazing. We are a family business who love our customers and want you to have the most amazing event ever. We will give you an experience that will leave you saying, nothing but "I love it all"! To us every event is vital and we pride ourselves on valuing each one personally.